The US-China trade war has been all over the news lately both in China and in the States. The number $16 billion has been taking over my phone thanks to NPR and China Daily’s live updates. Each country has respectively levied a tariff on $16 billion worth of goods, and consumers in China have already begun to feel its effects. Living in China during this time has surely been interesting, especially seeing how the ongoing trade war has impacted my everyday life in Beijing. My friends and I first felt the tangible impacts of the trade war when we attempted to withdraw money from our Bank of America credit cards from a local bank. 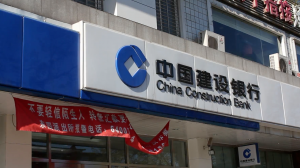 The China Construction Bank, which has always accepted withdrawals from American bank accounts, told us that they had ceased all transfers and withdrawals to and from China and the United States since the onset of the trade war. We were all dumbfounded because none of us had thought to encounter such a problem. With a limited amount of cash, exchanged at the airport, we quickly sought help from our teachers to find another way to access our accounts. They suggested we call Bank of America directly or go to one of the branches at the Beijing World Trade Center. 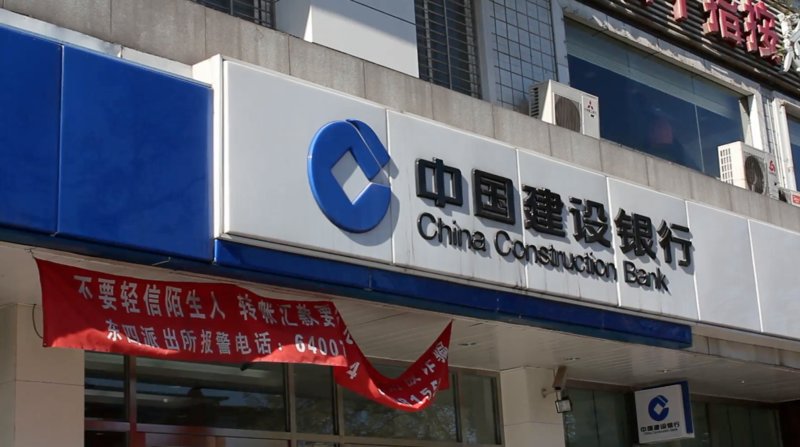 Both options proved unsuccessful—the representatives informed us that the Chinese government and banks would not grant citizens and even foreigners access to American bank accounts from within China. There was simply no way as the bank’s system denied all withdrawals and transfers. In the end, I created a Chinese debit card and transferred money from my Korean bank account to the one in China. I encountered similar situations when shopping. It is a pretty well-known fact that China has its distinct apps like WeChat, Alipay, and Didi, which are widely used by most of the Chinese population. Particularly, WeChat is a multifaceted program that functions simultaneously as a social media platform, free messaging and calling app, online wallet, and reservation device. It is an all-in-one package that almost every Chinese person utilizes, even those in rural and lesser-connected regions in China. Because of this versatile app/wallet, credit cards and cash are almost obsolete. Nobody uses credit cards, but shops still have the machines to accept them. Yet, when I tried to use my credit card in shops, my card was almost immediately turned down. They would tell me that they “do not accept foreign cards” because their machine could not process it. They emphasized how their system would not let payments from foreign accounts through. When I insisted that they try, they reluctantly swiped my card and the payment worked. I’m not sure why almost every shop and restaurant was hesitant to accept a foreign card, but I’m guessing it might have something to do with the current trade war and their reluctance to accept dollars. But I’m just guessing. It could just be that WeChat payments are much easier and quicker to consolidate. Aside from the trouble I’ve been going through to access cash, the trade war has also prompted interesting conversations with the locals. It has been eight weeks now and I can pinpoint many moments when a local has asked me what I think about the trade war and the economic situation in the United States. Most often, the local is a taxi driver or a friendly passerby we’ve stopped to ask for directions. Their perspective is most often the same: confusion and a bit of anger as to why the United States has single-handedly started a trade war with China. Regardless of the validity of this statement, I was amazed that most people we talked to were aware of and held a strong position on this issue. It was as if there was a narrative being told to the people through the media, which I thought was incredibly powerful and interesting. 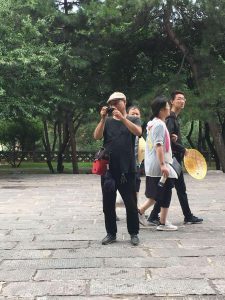 I also realized that most people, rather than wanting to learn more about the facts, most often just wanted to start a friendly conversation with foreigners. But I just want to put it out there that all that I’ve written above is based solely on my own experiences and encounters with a handful of people in Beijing and should be taken with a grain of salt. For all I know, the majority of people in China could care less about the trade war or be completely unaware of it all. As for me, however, the impacts were pretty tangible once I began to take note.